SANCB is a registered non-profit and public benefit organisation established in 1929 with the core objectives of advocacy and promoting the rights of persons with visual impairments. 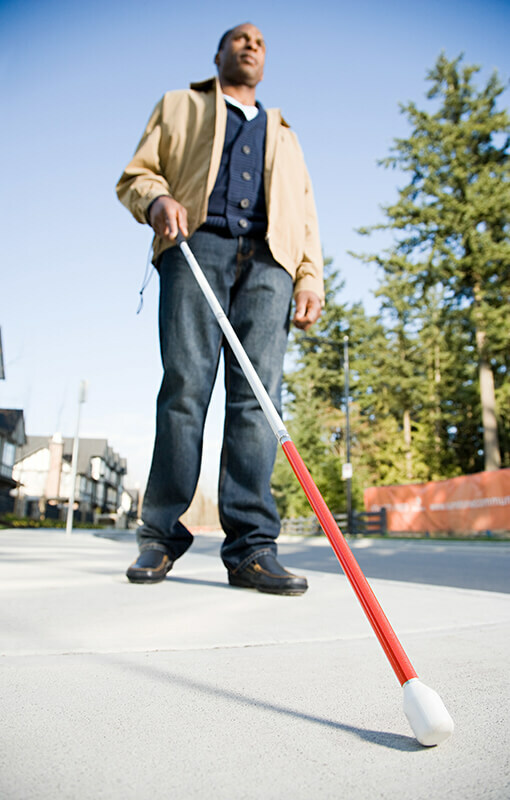 As a South African national representative body for the blind, it offers a supportive, rights driven function to its nearly 100 member affiliated member organizations. The presence of its community work is felt throughout its nine provincial structures in South Africa. SANCB also lays emphasis on the prevention of blindness and in 1944 the Bureau for the Prevention of Blindness was established. Since then, SANCB has grown exponentially, adding Education and Rehabilitation to its portfolio in 1985; the Resource Center for Assistive Devices and Technology in 1986 and Entrepreneurial development and support in 1991. These divisions run efficiently with the help of our Strategic Management and Enabling Division which includes the function of Human Resources, Finance, Administration and Logistics and Governance and Project Services overseen by our National Executive Director. The SANCB is a national organisation and comprises nine provincial structures and nearly 100 member organisations. It is also affiliated to international organisations including the African Union of the Blind (AFUB) and the World Blind Union (WBU). The South African National Council for the Blind through a network of about 100 member organizations serves and supports community empowerment; rehabilitation; training and education of South Africans with visual impairments. It also facilitates the prevention of blindness. Our vision is enhanced facilitation and collaborations with a network of Organizations for the full participation and inclusion of blind and partially sighted people in all aspects of a diverse South African society. Ensure that blind and partially sighted people of all ages enjoy all rights promised by the Constitution of South Africa.